The standard HAH RF antenna is a simple length of wire. 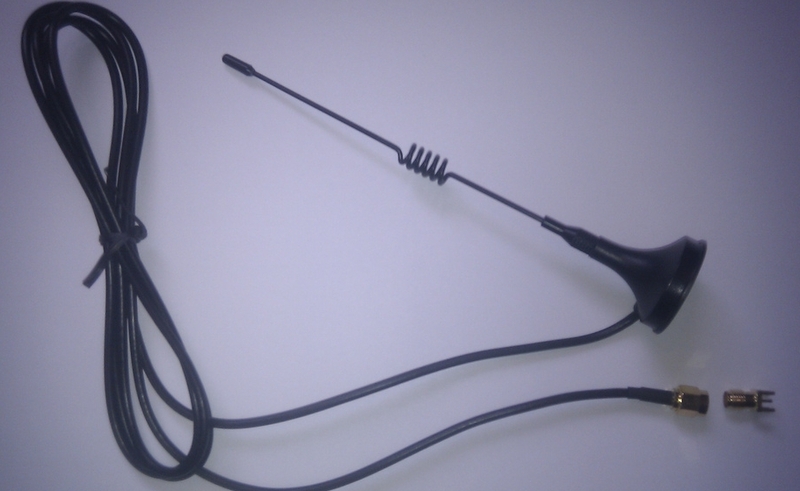 This is a nicely made magmount antenna that gives rather better performance. Tuned for use at 433MHz. Unit is 15.5cm tall and the base is 3cm wide. Cable length is approx 150cm. The good thing about having a decent cable length is that you can experiment with antenna positioning without moving the HAH unit. Supplied with a pre-fitted SMA connector. Also supplied is a chassis mounting 'pigtail' socket that you can solder to the RF Tx PCB module.